Meet the new GC1K. 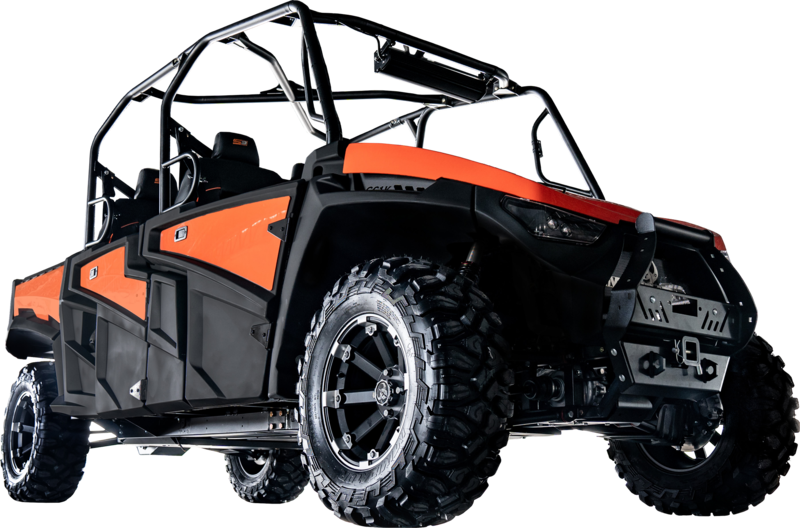 Leading the industry in horsepower (83HP), this beast offers a heaby duty frame and comonents along with an improved plastics package, 67 pounds torque, and speeds up to 65 MPH. Offered in 3 stages, do your research and decide which stage is right for you! the GC1K, by Intimidator, leads the industry in horsepower. With a heaby-duty fram e and improve dplastic GC1K is tougher, faster, and decked out to give you the ultimate side-by-side experience. The GC1K is available in three stages. 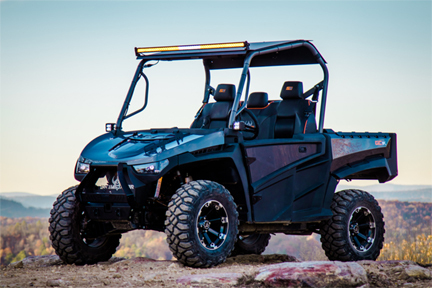 Intimidator UTV introduced the GC1K Stages last year and the response was overwhelming. You asked for more so we listened. Introducing the GC1K Crew, coming Spring 2019. 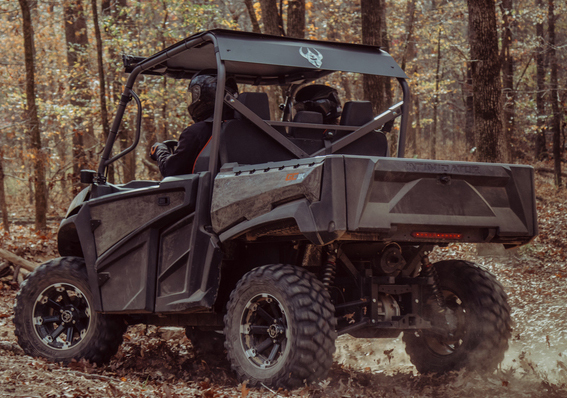 We’ve taken things to the next level and given you the ability to conquer your terrain while taking more people with you.Whether you’re headed deep in the woods or to work on the farm, the GC1K Crew has the horsepower and towing capacity you need to get the job done. The style will draw you in, the comfort and power will seal the deal. You will love the added features each stage has to offer. The rotomolded plastics are coupled with a sturdy steel frame for long term durability. Sleek, automotive style headlights come standard with both high and low beams and LED daytime running lights. From custom designed seats to specially engineered air flow, the GC1K Crew offers you the comfort, power and performance you’re looking for. Test drive one today and see which stage is right for you.